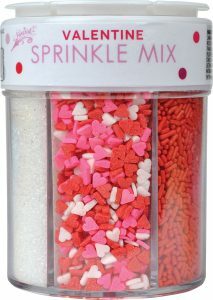 Show your love this Valentine’s day with special sprinkles on your valentine treats! 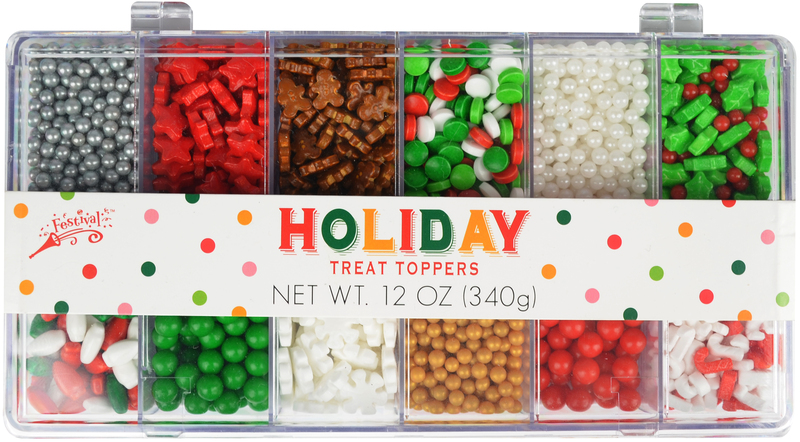 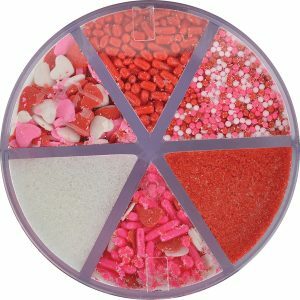 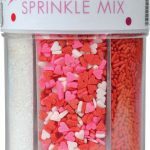 This multi-cell jar holds 6 wonderful sprinkles to celebrate the day. 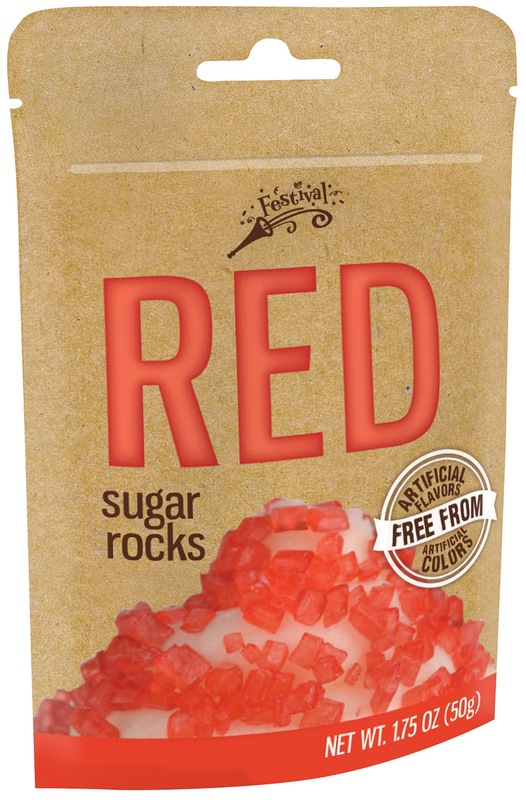 Sanding Sugars: Sugar, Red 40 Lake, Carnauba Wax. 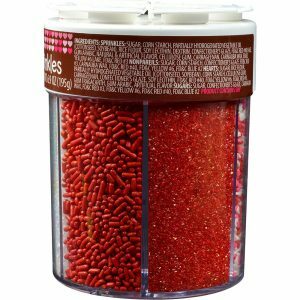 Red Sprinkles: Sugar, Corn Starch, Palm Oil, Palm Kernel Oil, Soya Lecithin, Confectioner’s Glaze, Red 40 Lake, Natural And Artificial Flavor, Carnauba Wax. 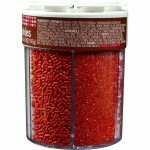 Nonpareils: Sugar, Corn Starch, Confectioner’s Glaze, Red 3, Red 40, Carnauba Wax. 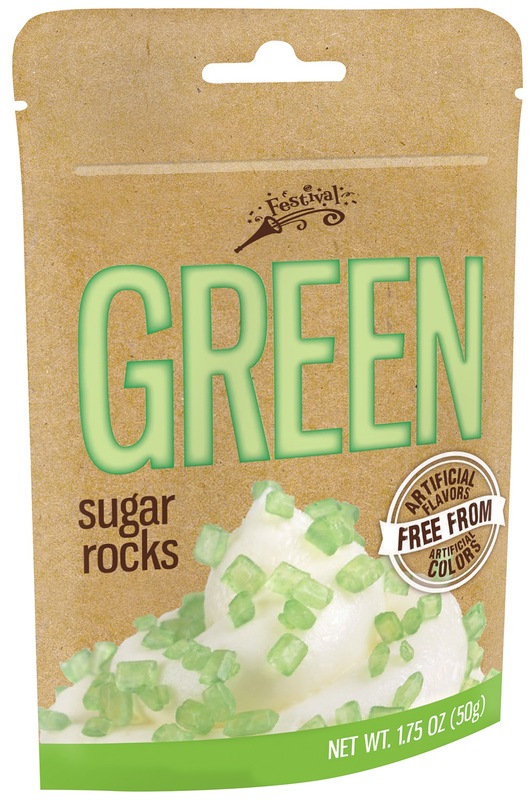 Heart Shapes: Sugar, Corn Starch, Palm Oil, Palm Kernel Oil, Rice Flour, Soya Lecithin, Confectioner’s Glaze, Cellulose Gum, Carrageenan, Red 3, Natural and Artificial Flavor, Carnauba Wax, Yellow 6.